When you walk out of the gym, your muscles are at their weakest. They are broken down and ready to catabolize themselves. It is at that point that you need to infuse them with the right nutrients to switch from a catabolic to an anabolic state. Doing so, will allow you to repair and rebuild the muscle at a cellular level, so that you can become bigger and stronger. In this article, we discover the 10 best recovery and repair supplements for after your workout. The best supplement for muscle recovery on the 2019 market is MHP Dark matter, with 3 types of creatine and a 4 to 1 carb / protein ratio. The second premium supp out there is Myogenix AfterShock, which delivers creatine, glutamine, 32 grams of protein and 30 grams of carbs to your muscles. Rounding out our top 3 is BSN CellMass 2.0, delivering a great tasting blend of 3 types of creatine and glutamine. To make it easy for you to compare the best recovery supps, we’ve rated each of the Top 10 on the basis of price and effectiveness, and then given each one an overall rating out of 5. In the next section, we go in-depth on each product. Legion Recharge is a post workout recovery formula that is built around supplying creatine to the working muscle. This replaces ATP muscle cell energy that has been lost during your training. It also acts it an effective cell volumizer. The addition of carnitine boost workout recovery, pushing your body into a state of anabolism. There are no carbs or proteins in this product. Legion Recharge mixes easily with just a glass and a spoon in water. There is no clumpiness or residue. It has a pleasant taste and goes down easily. You won’t suffer any of the side effects that come with other creatine products. Natural athletes need like you need the best supps on the planet to boost their progress. Discover them with our Best Natural Supplements for Working Out Review 2019 article. Myogenix AfterShock is a potent blend of high octane ingredients designed to shunt you out of catabolism and into a state of anabolic growth immediately after your workout. It contains both creatine and glutamine, allowing for rapid cell volumization while replenishing the ATP energy levels within each muscle cell. It features kre alkalyn creatine for more rapid absorption. Myogenix AfterShock contains a 50:50 bend of carbs to protein is provided to restore glycogen while fast tracking aminos for repair and rebuild. With each serving you get 30 grams of carbohydrate, along with 32 grams of protein. It tastes good and won’t weigh you down. BSN CellMass 2.0 is a completely revamped version of the original CellMass, which now has triple the amount of creatine and has added in glutamine, hydrolized whey protein and taurine. This makes it a very complete post workout supplement. It has a 1:1 carb to protein ratio. The scientifically sound ingredient blend in BSN CellMass will put an immediate halt to muscle fatigue and catabolism. Instead, it will shunt your body into an anabolic environment so that you can repair and rebuild your trained muscles. It comes in four great tasting flavors. Muscle Pharm Recon is designed to be taken immediately after your workout in order to put a halt to the deterioration of muscle fiber, while, at the same time, restoring glycogen, ATP and amino acids in the muscle cell. It features a proprietary carb blend of glucose powder, dextrose and innuin. Branch chain amino acids are provided in a unique 3:1:2 leucine to iso-leucine to valine ratio. You get a total of 27 grams of carbohydrates, 1 gram of fiber and 7 grams of sugar in this product. Beta Alanine and citrulline are included, allowing you to have more training energy as well as to enhance your training pump. Sheer Build accelerates muscle growth and promotes post workout recovery with a high energy blend of lab tested ingredients. The profile includes 5g Creatine Monohydrate, 3g Glutamine, 2g L-Carnitine, and 4g of BCAAs. The creatine used is the purest, most clinically proven monohydrate on the market. The branch chain amino acids are provided in the ideal 2:1:1 leucine, valine, iso-leucine ratio, and includes a huge 800mg of leucine per serving. Sheer Build contains no artificial ingredients, or proprietary blends. This product will also help to reduce post workout muscle soreness and help get you primed for your next workout. It comes with a 100% satisfaction guarantee. MHP Dark Matter aids workout recovery by spiking insulin levels post workout, allowing for faster transportation of nutrients to muscle cells. You get three types of creatine in this product, allowing you to very effectively replenish the ATP stores within the cell. With a carb to protein ratio of 4 to 1, you will quickly build up post exercise glycogen levels, while also supplying the essential amino acids that you need to rebuild muscle fiber. MHP Dark Matter contains a number of auxilliary anabolic enablers that promote muscle growth and help to minimize post exercise soreness. This is an effective post training energy restorer that will fast track the repair and rebuild of your trained muscles. Post Pump workout formula by DO Vitamins is a post workout muscle booster that has been scaled back to produce a completely clean power boost alternative. It contains no artificial flavors and is unsweetened with no colors, flavors or sweeteners. Post Pump includes only the 3 most scientifically proven ingredients to get you into anabolic muscle building zone as quickly as possible; creatine, branch chain amino acids and carnitine. Post Pump is one of the cleanest muscle recovery aids we have found. This means that the nutrients go directly to your cells without any residual build-up of toxins in the body. This product is NON GMO certified. Are you stuck in a rut? Take your training to the next level by checking out our Best Supplements for Weightlifting Review 2019 feature article. NOW Foods Carbo Gain is a post workout recovery and rebuild formula that has been specifically created for hard gainers. It is made up of nothing but complex carbohydrates. It will provide endurance for training as well as quickly restocking glycogen levels after your workout. The carbohydrates come from maltodextrin, which is a corn based fast acting carb. There is no protein in this product. NOW Foods Carbo Gain mixes easily and tastes great, despite containing no artificial flavorings or preservatives. The 100% carb blend will give you an abundance of training energy while boosting your after exercise recovery ability. It is very affordable, allowing for 70 servings from each container. 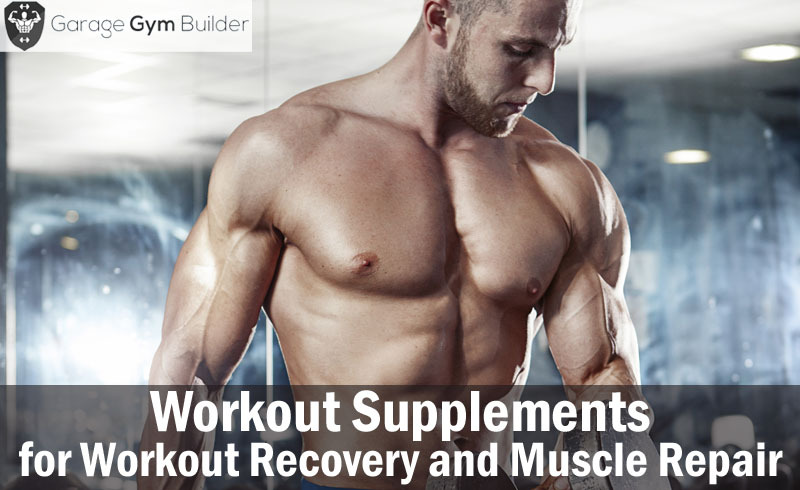 Discover the best workout supps across the spectrum with our Most Effective Excercise Supplements 2019 mega feature. Beach Body Performance Stack Post Workout is one half of the Beach Body performance stack that accompanies the Beach Body DVD training programs. It delivers the amino acids and nutrients to fast track your body out of its post workout catabolic state and into a state of muscle building anabolism. It includes pomegranate extract which has been clinically shown to boost testosterone levels and promote muscle growth after exercise. Beach Body Performance Stack Post Workout also provides scientifically sound dosages of time released protein and branch chain amino acids in the ideal 2:1:1 isoleucine, leucine, valine ratio. This product mixes easily and provides a great taste. Power Build is a powerful after workout formula that combines muscle building, energy recovery and rehabilitation. It will also boost strength and power for your workout while also enhancing your immune system. It includes a synergistic blend of clinically effective dosages of such proven ingredients as glutamine (5 grams) to support muscle recovery and ensure that you don’t over-train. Leucine is added to increase protein synthesis in order to drive post workout muscle growth. You also get 3 grams of creatine monohydrate to build up your body’s ATP energy stores in order to make you stronger in the gym. Other ingredients are beta-alanine, betaine anhydrous, carnitine and bioperine. Power Build is naturally sweetened and flavored. The premium supplement for workout recovery is MHP Dark Matter, which provides 3 versions of creatine, along with a 4 to 1 carb/protein blend. We were also really impressed with Myogenix AfterShock, with it’s 32 grams of carbs and 30 grams of protein per serve, along with a potent dose of creatine. Our bronze medal winning recovery formula is BSN CellMass 2.0, providing a tasty mix of 3 types of creatine and glutamine.